Boiledbeans » 6 chars ought to be enough for anyone. 6 chars ought to be enough for anyone. This wildly popular game was based on a real pastime of the author (and also based on a real place). Fittingly enough, the game’s name (X) led to the name of another activity (Y) (popular at some universities) that was directly derived from this game. Which game (X), and what is the activity (Y) called? Mayukh, that is one awesome box! 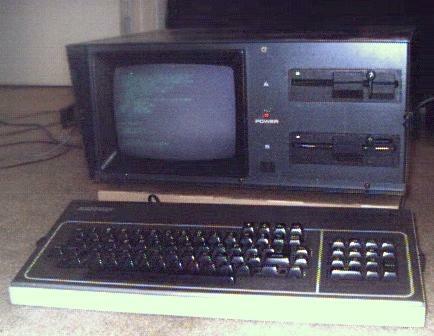 How in the world did you get your hands on a Kaypro? The game was named ADVENT because the PDP10 was limited to 6 character file names. Legend has it that to hide the game from sysadmins it was renamed ADVand then later to VAD as sysadmins got smarter. ADVENT was based around a concept of exploring caves. This activity became popular in a modified form in many universities: students exploring abandoned buildings. People who did this were soon called VADders, named so from the game. The activity Y is, hence, vadding, or “Roof and tunnel hacking” as people now call it. And I am guessing here, but the activity is multiple users playing a ‘text adventure’ or some other sort of role playing game combined with elements of a text adventure. An early second life of sorts? another shot — playing ‘Dungeons and Dragons’ ?? 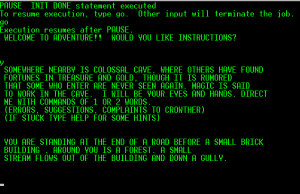 Spelunking, the game is Colossal Cave Adventure. 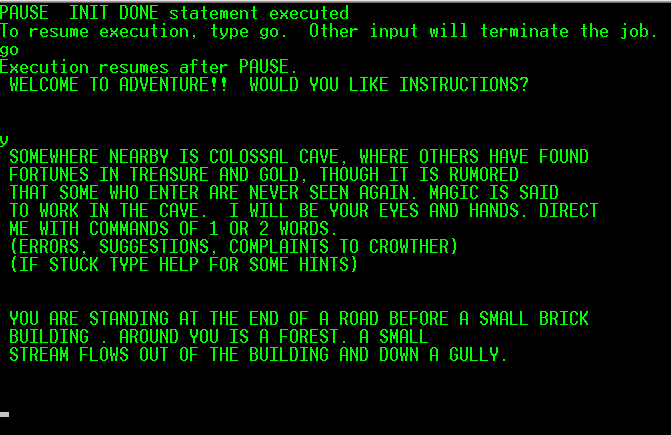 colossal cave adventure is the name of the game..
No clue about the phrase…. collosal cave adventure or advent and interactive fiction? Y = MUDding?? or Spelunking? Y. Creating Virtual worlds ?